Everyone clamors for a good breakfast around holidays in our home. 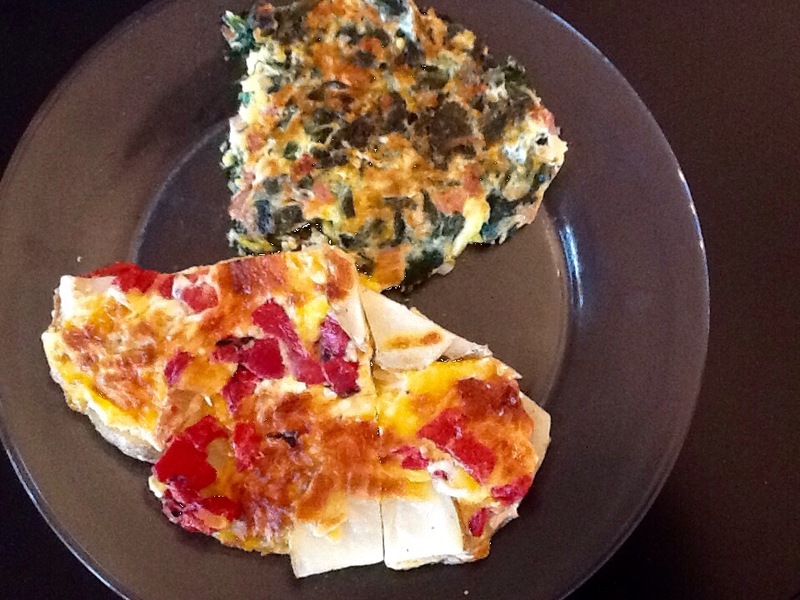 A Spanish Tortilla and Green Eggs with ham are on the menu today. Sauté spinach with finely diced onions and Canadian bacon in a skillet, then add 5-6 eggs beaten with a 1/4 cup whole milk. Add salt and pepper. Add 1 cup shredded cheese of choice (I used a mac n’cheese blend of cheddar, american and jack) and cook on a med-low heat until set. If you can flip the whole thing over..all the better. My Spanish tortilla consists of thinly sliced potatoes lightly browned in olive oil in a skillet, 1/2 cup rough chop of roasted red peppers, 1/4 cup diced onions, salt, and lots of ground pepper. I whisk up 2-3 eggs with a little milk and a grated mild white cheese. Pour the egg mixture over the potato slices and bake in a 375 degree oven until golden brown on top. Invert onto a plate and slice into wedges. Previous Previous post: Special Foods continued…..
Next Next post: Special foods…it’s Thanksgiving!